The Amazing Spider-Man Annual #1 (Legacy #43) – Written by Saladin Ahmed, illustrated by Garry Brown and coloured by Lee Loughridge. Way back in 1984 there was a secret little war in which a certain spider powered individual found a bad @$$ alien suit . . . but you already knew that. What you didn’t know is that this alien suit would take it’s sleeping host on violence fuelled joyrides. You also probably didn’t know how much you missed seeing black suit Spidey in action. However, it’s time for you to rejoice! The Amazing Spider-Man is once again rocking the black alien duds and knocking in some criminal skulls. So park the Delorean, and let us take a walk down memory lane. I think the main goal of the newest Spider-Man run, is to throw back to the kind of stories and formulas that made us love Spidey in the first place. Parker is once again your average down on his luck joe with money problems as well as piles of personal issues. Plus a certain redheaded lady is back in the fray. This need for unearthing the past is proven with the first annual in the series. It is a flashback issue which takes us back in time to one of the most loved eras in the spectacular life of our web slinging hero . . . The Alien Costume Saga! This of course is not even close to a bad thing. This was an amazing time frame in the history of Spider-Man, and is loved by many fans. 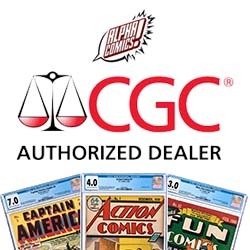 Which is exactly why this loveletter of an annual is such a fun read! 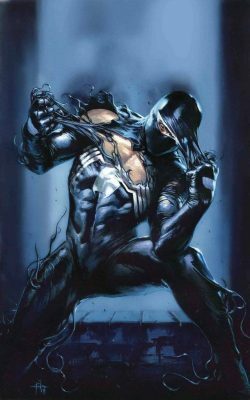 Saladin Ahmed (Black Bolt) spins a new tale that takes place during the Alien Costume Saga and gives us more insight into the events that lead to the creation of Venom. 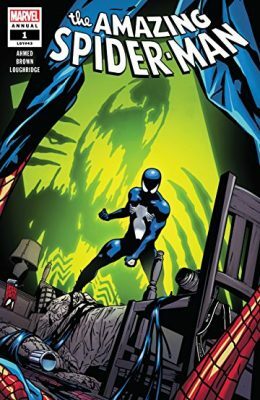 This story is told through the perspective of the Symbiote and shows us what happened when Peter was asleep and the Symbiote would hijack Pete’s body. It’s a neat premise and adds nicely to the mythos without changing anything. It’s a complete nostalgic treat that Spidey fans are sure to enjoy. 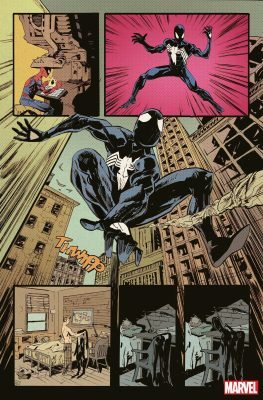 The illustrations and colouring by Garry Brown (Iron Patriot) and Lee Loughridge ( Fury Max) definitely harkens back to the good ol’ days of symbiote suit shenanigans. It’s style is reminiscent of the work done in X-Men: Grand Design. It looks amazing! There are some fantastic full page layouts as well as some perfectly done panels. The art really conveys the time capsule esque qualities of this book. It is the perfect addition to any Spider-Man collection. As well as a must have for those that enjoy all things Venom related. P.S. You must check out the Dell’Otto variant for this comic! It is unreal!